Ver.MPI-3 Diagnostic Kit + License Megatech 10 years can be used for diagnostic of all 4-TEC/E-TEC BRP vehicles 2002-2016: PWC and Sport Boats SeaDoo.Snowmobiles Skidoo and Lynx.All Can Am vehicles (ATV, SSV, Roadster Spyder).Features: MPI-3 electronic board in an MPI-2 adapter case.Diagnostic kit works with BUDS and BUDS2 (for BUDS2 you need to use an additional license). B.U.D.S. (BRP Utility and Diagnostic Software) is a comprehensive diagnostic software.BRP BUDS ver. 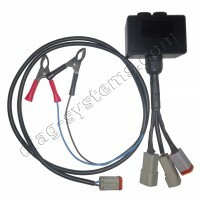 MPI-3 Diagnostic Kit includes:Ver. MPI-3 Interface (p/n 529036353) - is used for diagnosis of *﻿all BRP vehicles 1996-2018+; Diagnostic Cable (p/n 710000851) - is used for connection of MPI Interface to 4-TEC/E-TEC vehicles; Software BUDS1 for models 1996-2016 (links for downloading); License Megatech 10 years for BUDS1; **Free access to our FTP server (software BUDS, Instructions, Service Manuals for BRP vehicles, bulletins, etc. ); (option) DESS 4-TEC Interface - is intended for add/erase DESS-keys on 4-TEC models SeaDoo/Skidoo; (option) Kit Power Interface (BRP p/n 515177223 + p/n 529035997). BRP strongly recommends the use of the Power Interface (515177223) and power supply cable (529035997) to stabilize the unit voltage when using BUDS during software updates. (option) BUDS2 license for vehicles 2017+. Choose the type and duration of the BUDS2 license if you need to work with BRP models 2017 and newest.Using BRP BUDS MPI-3 Diagnostic Kit you can make the following procedures: Edit vehicle information; Test, add or remove DESS keys; Adjust engine parameters; Activate module outputs; Stop the engine; Monitor vehicle parameters; Troubleshoot vehicle faults; Replace a module; Update module software and/or calibration data; Read and reset historical data; Save vehicle information to disk; Print vehicle information. In addition to the basic capabilities of the license "Dealer", the license "Megatech" allows you to do the following: Change the VIN and MODEL numbers (is useful after ECU replacing); View stories in hours, rather than percentage; Enable/disable DESS (start vehicle with any key (except Roadster Spyder); Change the DESS key type in two clicks (normal, learning, rental); Clear the ECM history (is useful after ECU replacing); Change Total Vehicle Hours (SeaDoo); View more information blocks; Edit injector's coefficient for E-TEC Skidoo; Enable/disable vehicle’s options/modules/sensors; Increase the power of Spark 60 hp up to 90 hp. The differences between license levels "Dealer" and "Megatech" can be seen in the comparison table. BUDS1 software will not be updated in the future. All needed software (current and subsequent versions of BUDS) can be downloaded from our FTP server, access to which is available for our customers during the validity period of the purchased license. ___________________________________________________________________________________________* - For diagnostics of old 2-stroke models of SeaDoo and Skidoo (Carb., DI, RFI) is needed to use an additional units - DESS Post Interface (p/n 529036019) and DESS Adapter (p/n 529035904), which are not included in this diagnostic kit. DESS Post Interface is discontinued and is no longer available. ** - Access to folders on the server is limited to the type of license Megatech (for vehicles till 2016) included in price of this diagnostic kit. If you want to know what files you will get access to, then you can use the demo account of our server. Follow this link (opens in a new window) and enter the login demo-b1-m and password 123456789 .----------------------------------------------------------------------------------------------------------All product names, trademarks and registered trademarks listed on this website are property of their respective owners.All company, product and service names used in this website are for identification purposes only.Using of these names, trademarks and brands on this website does not imply their endorsement.Diag-systems.com is a e-commerce website for sale diagnostic systems for various vehicles. We are not the official representatives of any vehicle manufacturers. ..
BUDS2 with license "Dealer Technician" gives you the same opportunities that any BRP dealer has. Using MPI-3 Diagnostic Kit and BUDS2 with privileges "Dealer Technician" you can: Edit vehicle information; Test, add or remove DESS keys; Adjust engine parameters; Activate module outputs; Stop the engine; Monitor vehicle parameters; Troubleshoot vehicle faults; Replace a module; Update module software and/or calibration data; Read and reset historical data; Save vehicle information to disk; Print vehicle information. There are several types of the license Dealer Technician for BUDS2: SeaDoo Dealer Technician = license for servicing of PWC SeaDoo MY2016+ Skidoo Dealer Technician = license for servicing of snowmobiles Skidoo and Lynx MY2017+ ATV Dealer Technician = license for servicing of ATV Can-Am MY2018+ SSV Dealer Technician = license for servicing of SSV Can-Am MY2017+ Spyder Dealer Technician = license for servicing of tricycles Can-Am Roadster Spyder MY2017+ All Can-Am Dealer Technician = license for servicing of ALL Can-Am vehicles (ATV + SSV + Spyder) 2017/2018+ All BRP Dealer Technician = license for servicing of All BRP vehicles (SeaDoo + Skidoo/Lynx + All Can Am) 2016-2018+ You can choose the validity for 1, 2, 5 and 10 years. 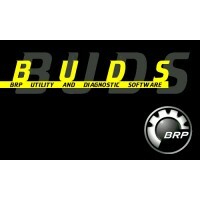 BUDS2 software is updated periodically. 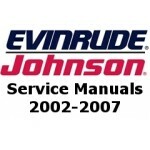 New versions includes support for new models, updates for electronic modules and updates of the diagnostic software. All needed software (current and subsequent versions of BUDS2) can be downloaded from our FTP server, access to which is available for our customers during the validity period of the purchased license. If you would like to make tests of any license, please fill out this Request. In reply we'll send the BUDS2 software with 7-days license and instructions. There are two main types of licenses for BUDS2 (access level): Dealer Technician; Mechatronic Expert (extended diagnostic mode).An extended license "Mechatronic Expert" can be purchased HERE. The differences between licenses "Dealer Technician" and "Mechatronic Expert" can be seen in the comparison table. All product names, trademarks and registered trademarks listed on this website are property of their respective owners.All company, product and service names used in this website are for identification purposes only.Using of these names, trademarks and brands on this website does not imply their endorsement.Diag-systems.com is a e-commerce website for sale diagnostic systems for various vehicles. We are not the official representatives of any vehicle manufacturers. ..
"Mechatronic Expert" - is a advanced license of the BUDS2 software developers which gives a privileges of "Super User". This license is not available for BRP dealers and distributors. License "Mechatronic Expert" is designed for advanced configuration of the vehicle's electronic modules, as well for recovering after update faults. This license covers all BRP vehicles: SeaDoo MY2016+ Skidoo and Lynx MY2017+ Can-Am MY2017/18+ You can choose the validity for 1, 2, 5 and 10 years. In addition to the basic capabilities of the license "Dealer Technician", the license "Mechatronic Expert" allows you to do the following procedures: Change the VIN and Model numbers (is useful after ECU replacing/reprogramming); View stories in hours, rather than percentage; Enable/disable DESS (start vehicle with any key (except Roadster Spyder)); Change the DESS key type in two clicks (normal, learning, rental); Clear the ECM history (is useful after ECU replacing); Change the Total Vehicle Hours (SeaDoo ECU Bosch); View more information blocks; Edit injector's coefficient for E-TEC Skidoo; Enable/disable vehicle’s options/modules/sensors; Increase the power of Spark 60 hp up to 90 hp. The differences between licenses "Dealer Technician" and "Mechatronic Expert" can be seen in the comparison table. BUDS2 software is updated periodically. 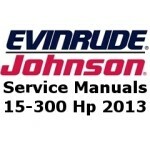 New versions includes support for new models, updates for electronic modules and updates of the diagnostic software. All needed software (current and subsequent versions of BUDS2) can be downloaded from our FTP server, access to which is available for our customers during the validity period of the purchased license. If you would like to make tests of any license, please fill out This Request. In reply we'll send the BUDS2 software with 7-days license and instructions. All product names, trademarks and registered trademarks listed on this website are property of their respective owners.All company, product and service names used in this website are for identification purposes only.Using of these names, trademarks and brands on this website does not imply their endorsement.Diag-systems.com is a e-commerce website for sale diagnostic systems for various vehicles. We are not the official representatives of any vehicle manufacturers. ..
B.U.D.S. (BRP Utility and Diagnostic Software) is a comprehensive diagnostic software. Megatech - is a license of the BUDS software developers. This license is not available for BRP dealers and distributors. License Megatech is designed for advanced configuration of the electronic modules, as well for clearing the history and Information of modules and for recovering after update faults. This license covers all BRP vehicles 1996-2016: SeaDoo, Can-Am, Skidoo. In addition to the basic capabilities of the basic Dealer license, the license Megatech allows you to do the following procedures:Change the VIN and Model numbers (is useful after ECU replacing/reprogramming); View stories in hours, rather than percentage; Enable/disable DESS (start vehicle with any key (except Roadster Spyder)); Change the DESS key type in two clicks (normal, learning, rental); Clear the ECM/MPEM history (is useful after replacing/reprogramming); Clear ECM, MPEM, CLUSTER "As new" (resetting the total vehicle hours on 4-TEC PWC SeaDoo); Change the Total Vehicle Hours on SeaDoo (ECU Bosch); View more information blocks; Edit curves for 2-Stroke PWC SeaDoo; Edit injector's coefficient for E-TEC Skidoo; Enable/disable vehicle’s options/modules/sensors; Increase the power of Spark 60hp up to 90hp. All product names, trademarks and registered trademarks listed on this website are property of their respective owners.All company, product and service names used in this website are for identification purposes only.Using of these names, trademarks and brands on this website does not imply their endorsement.Diag-systems.com is a e-commerce website for sale diagnostic systems for various vehicles. We are not the official representatives of any vehicle manufacturers. .. In 2012, the new equipment "T-harness cable" (p/n 529035869) was released to power the Skidoo/Lynx electronic modules while the BUDS software is running. T-harness cable was designed to work with the MPI interface. With the advent of new models of snowmobiles (800 E-TEC), the use of T-harness cable provoked its overheating and short circuit, which subsequently damaged the ECM on 800 E-TEC models.This "Power Interface Kit" is an upgraded version and replaces the T-harness cable.Power Interface Kit includes:Power Interface (p/n 515177223)12 V Battery Supply Cable (p/n 529035997)On September 2017 BRP distributed the Bulletins for all types of vehicles where is said that "BRP strongly recommends the use of the power interface and power supply cables tostabilize the unit voltage when using BUDS2 during software updates".The power interface and power supply cable allows the connection of a fully charged external battery to provide stable voltage to the unit and BUDS2. Stable voltage is essential to prevent update crashes. DO NOT use a charger on the battery (unit or external) during software updates. The power interface and power supply cable connected to external battery can be used for extended diagnostic time. The power interface with or without the power supply cable will keep the unit powered even if the ignition switch is turned off or the DESS key is removed. The power interface has a fuse protected voltmeter included and an extra fuse to protect from polarity inversion of the power supply cable. All product names, trademarks and registered trademarks listed on this website are property of their respective owners.All company, product and service names used in this website are for identification purposes only.Using of these names, trademarks and brands on this website does not imply their endorsement.Diag-systems.com is a e-commerce website for sale diagnostic systems for various vehicles. We are not the official representatives of any vehicle manufacturers. 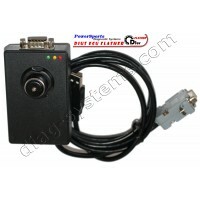 ..
DESS 4-TEC Interface is designed for add/erase DESS keys for 4-TEC models of SeaDoo and Skidoo vehicles. DESS 4-TEC Interface works in conjunction with the MPI-2 and MPI-3 Interfaces. 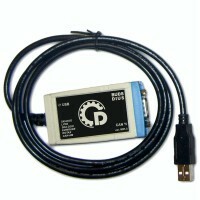 This device is connected between the MPI Interface and the diagnostic cable and is used only for procedures with DESS keys. Do not update modules when DESS 4-TEC Interface is connected!All product names, trademarks and registered trademarks listed on this website are property of their respective owners.All company, product and service names used in this website are for identification purposes only.Using of these names, trademarks and brands on this website does not imply their endorsement.Diag-systems.com is a e-commerce website for sale diagnostic systems for various vehicles. We are not the official representatives of any vehicle manufacturers. ..